The gaming community lost an icon last Sunday, January 22nd. Bandai Namco’s founder, Japanese toy and game entrepreneur, Mr. Masaya Nakamura passed away at the age of 91. A graduate of the Yokohama National University, Nakamura founded Nakamura Manufacturing in 1955 which was renamed 22 years after simply to, “Namco”. Come 2002, Nakamura assumed the company’s presidency which saw fruition when it merged with Bandai. In 2006, Mr. Nakamura become the honorary adviser to then Bandai Namco Games. Impressing his community further, he became an honorary member of the Tokyo Chamber of Commerce and Industry and the senior adviser to the Japan Amusement Machine and Marketing Association. 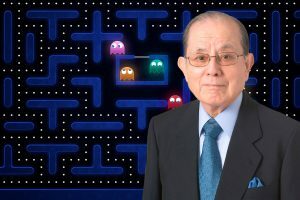 Mr. Nakamura would not only be remembered for his enduring game, “Pac-Man” but as a man who had brought life and vitality to the Japanese gaming industry. Mr. Masaya Nakamura would surely be missed. Splinter Cell and Tom Hardy? Shut Up and Take My Money!